A Dale Earnhardt Jr. Family Favorite. 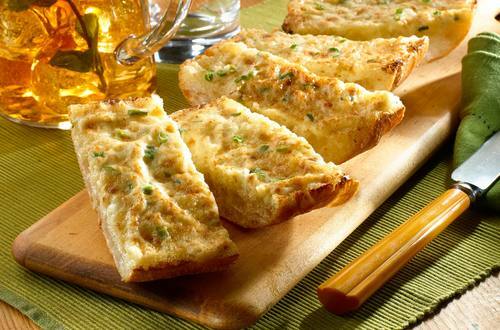 The quick and easy Championship Killer Bread recipe is a masterpiece that is sure to be a family favorite on game day or other events. 1 Combine Hellmann's® or Best Foods® Real Mayonnaise, cheese and green onions in medium bowl. 2 Evenly spread mayonnaise mixture on bread. Arrange on ungreased baking sheet and broil until lightly golden, about 2 minutes. To serve, cut into wedges.